In my previous post I explained how you can display a details section within an (interactive) report. 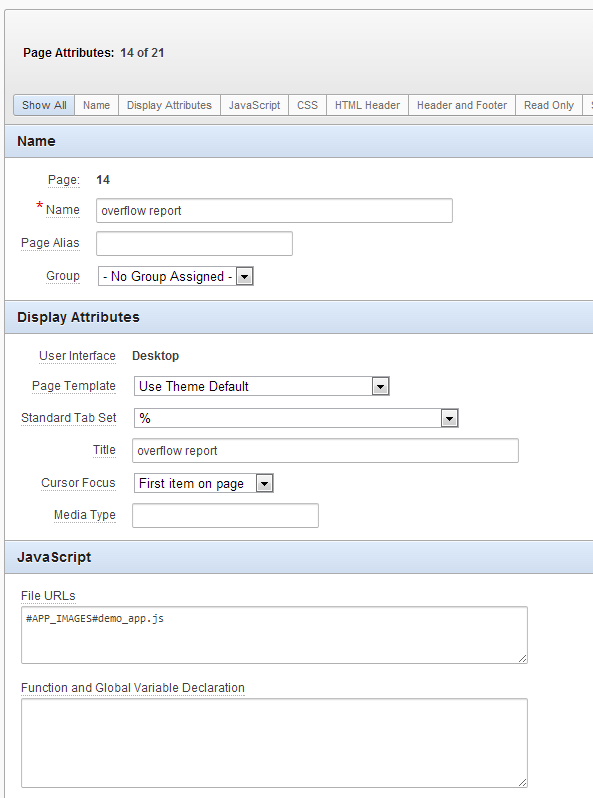 The solution relied on using an iframe to display a detail report or –form on another page and on jQuery to display or hide the details. This solution works great in some cases, but it has a few shortcomings. In this post I will discuss two of the most apparent problems. The first big problem arises when we use session state protection. 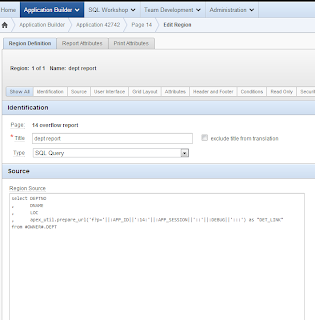 Session state protection prevents unauthorized manipulation of the URLs within your application. The session state protection creates a checksum that is appended after each page URL, without a valid checksum you can’t navigate through your application. 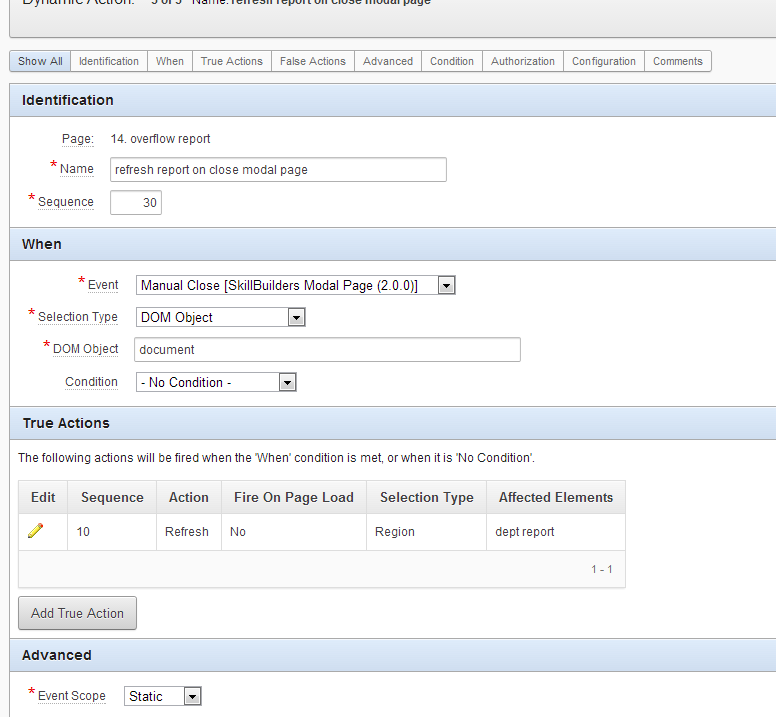 In our setup thus far we could simply create the URL for the iframe that holds the report details. With session state protection enabled, we need to find a solution to create a valid checksum that we can use in our URL. The apex_util package has a function, prepare_url, that takes your URL as parameter and returns you the same URL extended with a checksum. 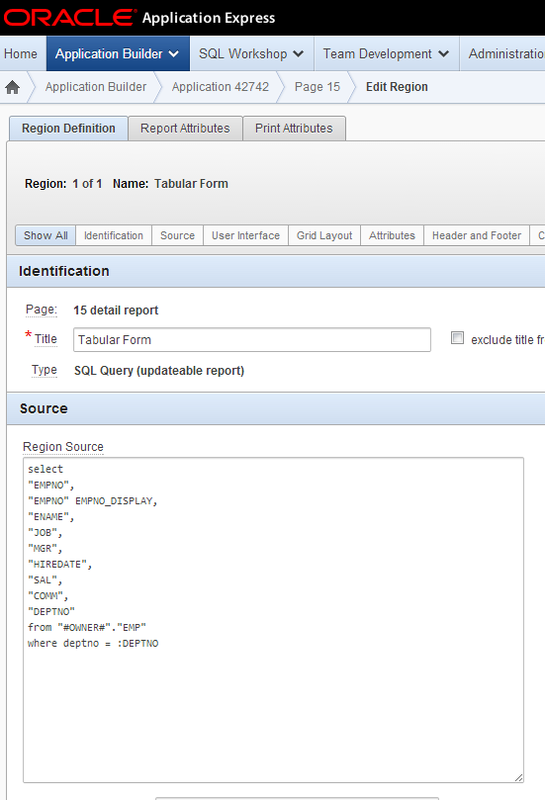 This requires us to use pl/sql, and our URL is created in a jQuery dynamic action. What we’re going to do is remove the URL from the dynamic action and instead add it as a column to the report query, using the prepare_url function. 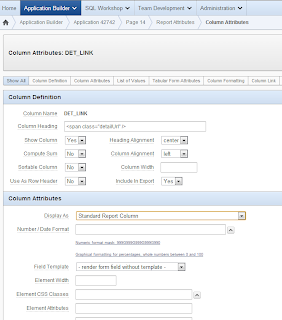 Since we don’t need to display the URL in our, but we do need to be able to find it with JQuery, we give the report heading a simple span as title and de “Display as” attribute we set to “Standard Report Column”. 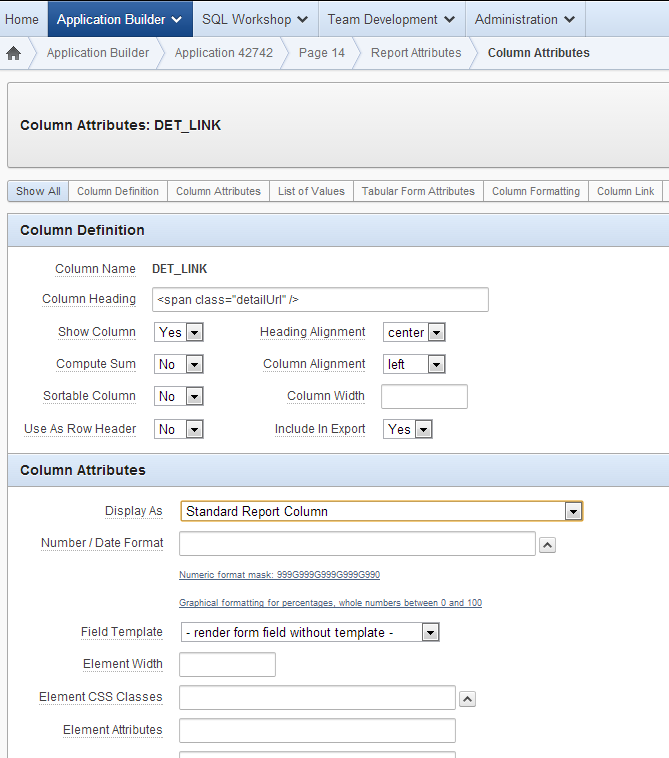 In the column link section we set the “Target” attribute to “URL” and the “URL” attribute to “#DET_LINK#” – this is a substitution of the column name we gave the prepare_url column in our report query. 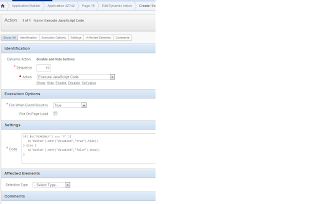 With these changes we have a working report and iframe again, this time with session state protection. The second issue I’d like to discuss is partial page refresh. Partial page refresh reloads a region of your page, without submitting or reloading the entire page. This is really handy, says when You use a modal page to update or modify the details of our your report and you want to immediate show those changes. Unfortunattely, the refresh of the region unbinds our jQuery function that opens and closes the details, so we can no longer show details until we reload the entire page. 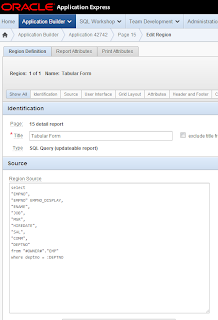 To better show this issue I’ve changed the detail report in the example application to a tabular form that lets you make some changes to the emp table. 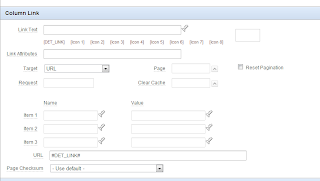 To better display the and control the tabular form, we add a hidden item ‘READONLY’ that we will set to ‘Y’ from our report url link, so that when we open the form as an iframe the item will be ‘Y’. 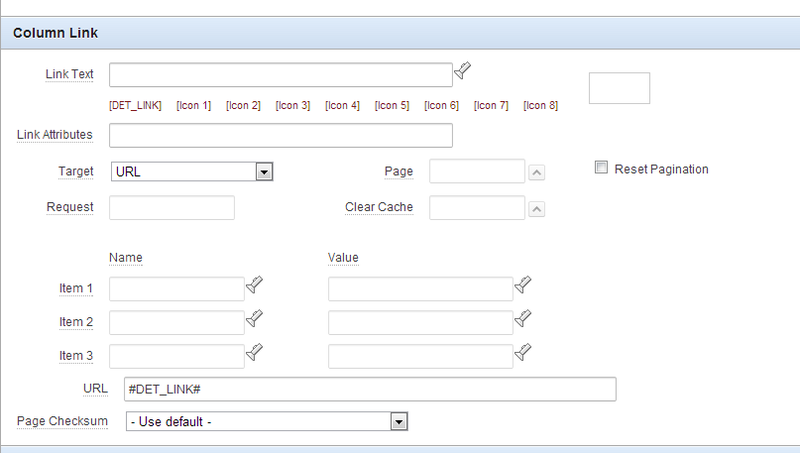 We add a page load dynamic action on the tabular form page that will hide and DISABLE! 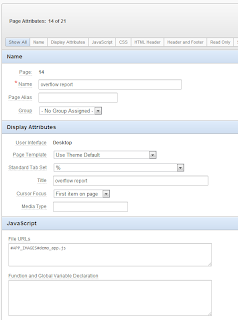 The page buttons and will disable the form fields. 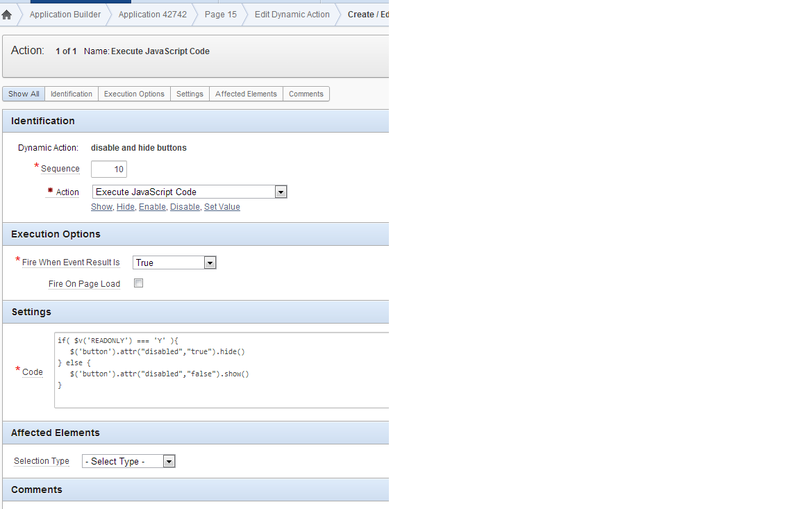 Also we add a modal page to edit the EMP table. 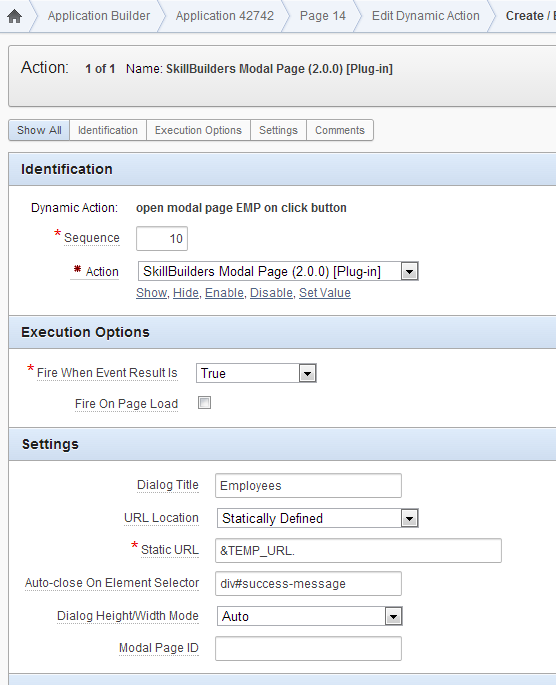 For this we can use the Modal Page plugin from Skillbuilders, that’s an easy and flexible plugin that lets you make a modal page in just a few clicks. Now it is important to remember that we had session state protection enabled, so the modal page attribute “Static URL” must get an URL with a checksum. 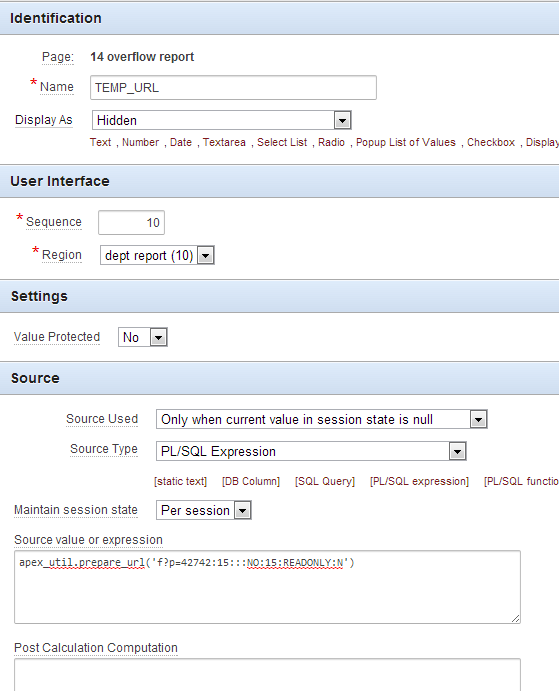 To do this, we can a hidden item, here TEMP_URL and set it’s source with a pl/sql expression. 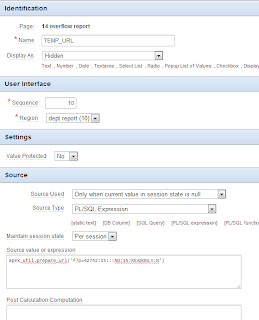 As expression we again use the apex_util.prepare_url function. We create a buttton to fire the dynamic action. 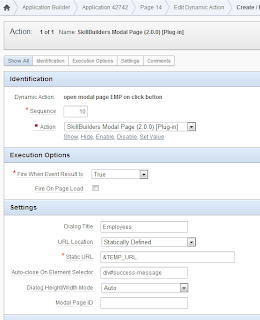 At this point we have a page with a modal page that we can use to update the EMP table and an iframe that we can use to display the employees per department. 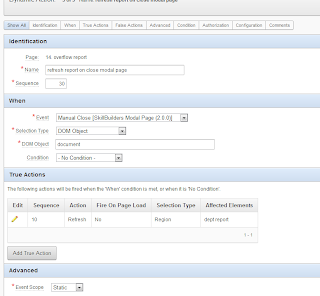 To immediately show the changes we make in the modal page, we add a refresh action on report region. We let the refresh take place after we click on the close button of the modal page. Because the refresh of the report unbinds the dynamic action that controls the display of the report details, we need to find a way to rebind the dynamic action. At this point it might be a wise dissision to avoid a growing number of dynamic actions, and move our jQuery function to a seperate js file. 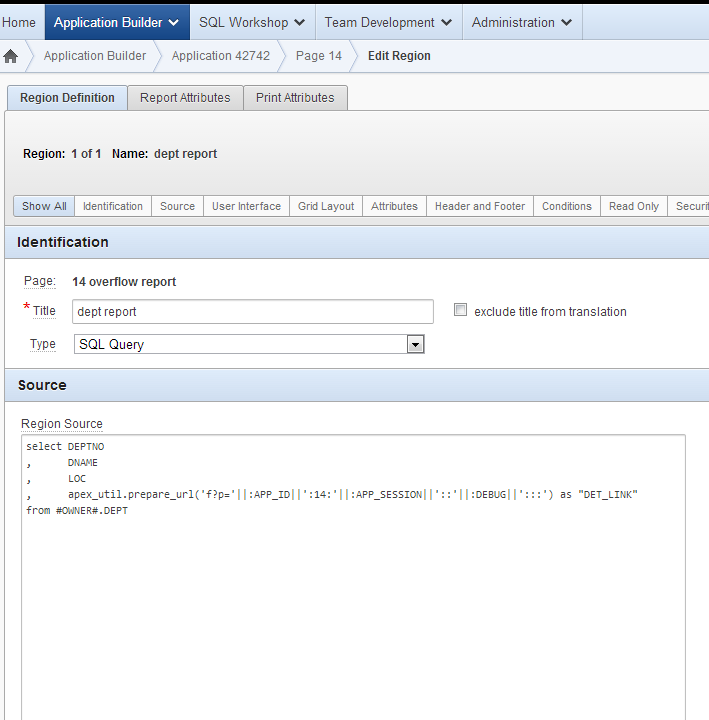 In a file it is also rather easy to control the rebinding of the function after the report region refreshed. to see a working demo watch my demo application. Nicely done. I especially like how you used the prepare_url function to dynamically create the url and make use of a modal page. I wonder, though ... I did not see a link to your revised app. I'd like to see your app in action. Would you please provide this. Thanks very much. Please keep these great articles coming. They are so helpful. Thank you for spotting that omission, not one of my best moves to leave out the link to my demo application. Note that in my demo application I haven't got session state protection enabled, so the prepare_url function won't create a cheksum either. That being said, I encourage any reader to copy the code snippets from my posts an tweak them to their own needs, or use them in their own (test)application for further experimentation.